Scotland have recalled Fraser Brown and Murray McCallum to their Six Nations squad ahead of the clash against Ireland at BT Murrayfield on Saturday. 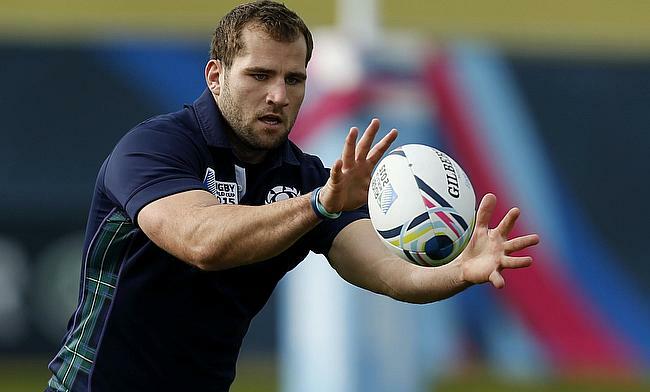 Brown, who has played 38 Tests for Scotland missed the opening game of the series against Italy with a knee injury but is expected to resume training this week. Meanwhile, McCallum will provide cover to Willem Nel, who sustained a calf injury in the game against Italy. The 22-year-old has played three Tests for Scotland, all of it coming last year. Sam Skinner has also been left out of the squad after he had an ankle injury and Brown's return means Grant Stewart drops out. Scotland are currently are at the top of the Six Nations table following their 33-20 win over Italy in the opening game after a hat-trick from Blair Kinghorn and a try apiece from Stuart Hogg and Chris Harris.